Mozilla this week launched the latest version of its Firefox browser, which is quite a big surprise to users as it includes new features like 3D gaming and video calls. Tips: Also using Firefox? 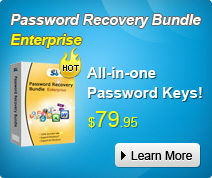 Are you worrying about losing Facebook password or other web passwords? Firefox Password Recovery might be a good help to recover passwords saved in Firefox web brower. With Web Real-Time Communications (WebRTC), which allows the integration of these features into Web apps "with just a few lines of code", developers could create web apps with built-in video and audio calls, as well as file sharing without the need for any plugins or third-party software. "This technology makes it possible to place and receive video calls from a mobile or desktop browser or share live video, files and images with friends and family," Mozilla said. According to sources, third-party services like Tokbox are already supporting WebRTC. It is likely that a large number of startups and established companies would examine this technology far closer. Microsoft, so far, remains the only major vendor who has decided to go ahead with a different standard for the same functionality. We're still not sure if Internet Explorer would support WebRTC in the near future. 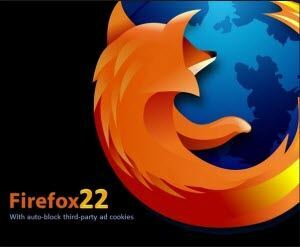 Want to get a fresh copy of Firefox 22? Head to Firefox download page. Or you could just choose Help > About Firefox from the browser's main menu and then restart the program. For more tips on Firefox, see Tips for Online Website. Recover User Names and Passwords to Websites saved in Firefox Web Browser and Thunderbird.